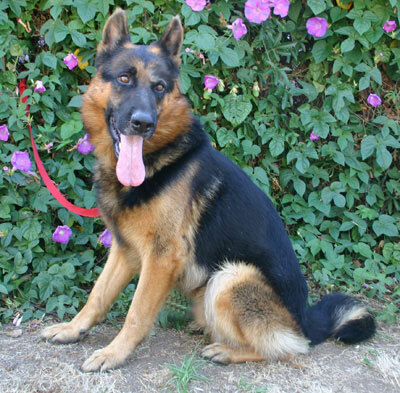 Jericho von La Brea is a kind, charming 5 year old German Shepherd. 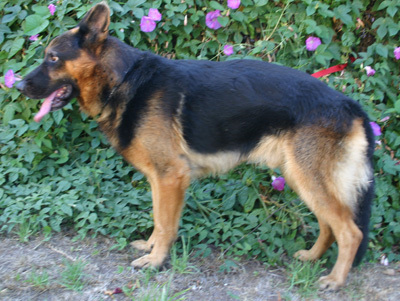 He is very handsome and has a striking appearance. 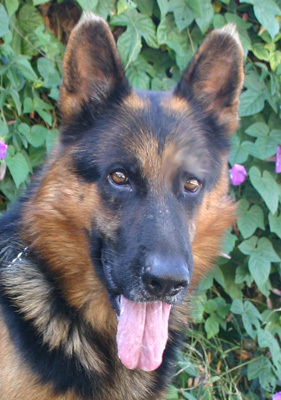 Jericho is completely trained and responds to commands immediately. Jericho is housebroken and perfect in the house. He can be left in the house by himself with no problem. He isn’t a big fan of being outside at night,. He goes out on a leash does his business and likes to go back in. He is great with other dogs. He loves to follow his foster mom around and sit by her feet. 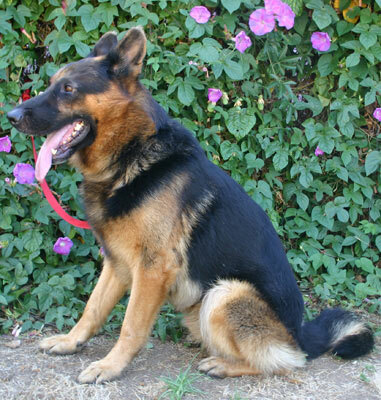 He is great on the leash and meets other dogs on a leash well. He loves to stroll and visit with neighbors and their dogs. 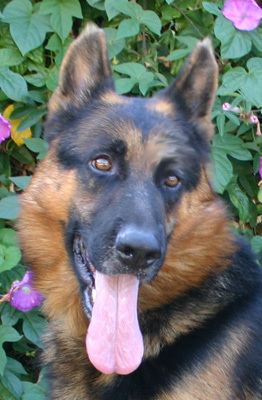 Jericho is an amazing dog.